"Six Popular Bloggers Launch New e-Zine Aimed at Modern Sewists"
yay!! a new modern magazine! 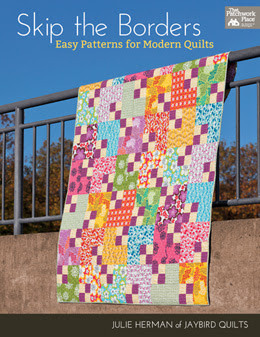 April 12, 2010 - The authors of six blogs popular for their modern sewing and quilting projects have teamed up to launch a new e-zine featuring quilt patterns, interviews with top fabric designers, previews of upcoming modern fabric lines, and more. Fat Quarterly is a collaboration between Kate Dixon (One Flew Over...), Katy Jones (I'm a Ginger Monkey), Brioni Greenberg (Flossyblossy), Tacha Bruecher (Hanies), Aneela Hoey (Comfortstitching) and John Adams (Quilt Dad). "With Fat Quarterly, we hope to provide a source of ideas and inspiration for anyone interested in the modern sewing and quilting aesthetic", says Ms. Dixon. "We have assembled a truly global team with diverse skills and styles, but connected by a love of handmade items and of sharing the joys of creating with others." 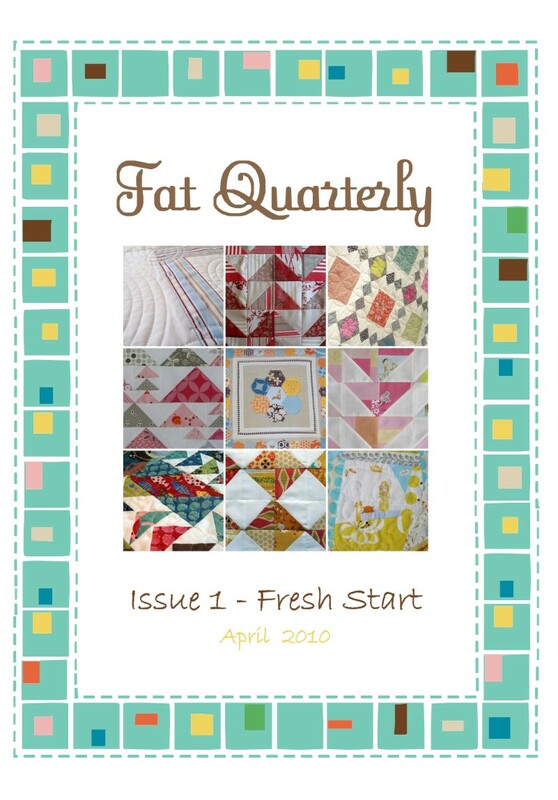 Fat Quarterly will officially launch when its first issue is available on Tuesday, April 27th. This introductory issue will be packed with exciting and original content including six brand new patterns for modern quilts and other sewing projects, designer interviews and previews of six upcoming fabric lines, book reviews, a report from the British Quilts exhibit at the Victoria & Albert museum, amazing giveaways of some of the fabric and books featured in the magazine, and much, much more. The publication will be released four times per year. so now the details on the giveaway!! they are offering one copy to one of you.. my fantastic readers! tell me what project you are most excited for... or what you love best about magazines! & then the magazine will be delivered by email on launch day of the magazine tues the 27 of april! you will be the first to receive the mag! I love the inspiration and ideas. Congrats on being in the first issue. I've been watching that site for a couple of weeks now waiting for the first issue. i love the inspiration in magazines!! Quilting magazines equal eye candy for me! I am a sucker for staring at pictures...lots of pictures in magazines. What I like most about magazines is seeing what different people do with the same pattern. And getting to know other quilters through the articles. fabulous! i am so excited to finish up my first commissioned baby quilt! I'd love to have this as my first quilting magazine!! I am SO excited for this ezine! I can't wait to see the Hexed In project. I rarely read magazines anymore, cause the internet has so much inspiration, but there's something about curling up in a chair with a new magazine... I'd love to read this new magazine since I love reading interviews from designers and quilters. I love seeing the projects and holding a copy in my hands. I could never order a magazine to be read online. The best part is having it to look at and keep for reference. I love everything about magazines and can't wait for this one. I love the modern movement taking place in quilting right now, so fresh! Magazines are great to curl up with and draw inspiration and to admire what others are doing. awesome! I just mentioned this to a friend--we need a modern quilting mag! OH, I'm soooo excited!! What's NOT to love about quilting magazines? And a magazine with a modern twist sounds exciting! Modern inspiration and ideas! Hurray! I tear up magazines! I have a whole stack of favorite "ideas" that I've torn out. I expect the same from this mag! I love new magazines-always looking for new ideas for blocks and especially for borders. Oh, very cool. I'm looking forward to being inspired by different color combination. I'm working on finishing up the first quilt for myself, I've got the quilting half done, I'm so excited to have it done and spread it on the couch! Beautiful and inspirational photos are what I look for in magazines. I've only ever subscribed to home decor magazines and another thing that I love from them is the sources page, just in case I want to splurge one day and buy something that was featured in a magazine. How exciting and congratulations on being included in the first issue! Sounds like they have their fingers on the best of the best! I'm excited about your Hexagon-quilt-along! I'm stalking the UPS man! 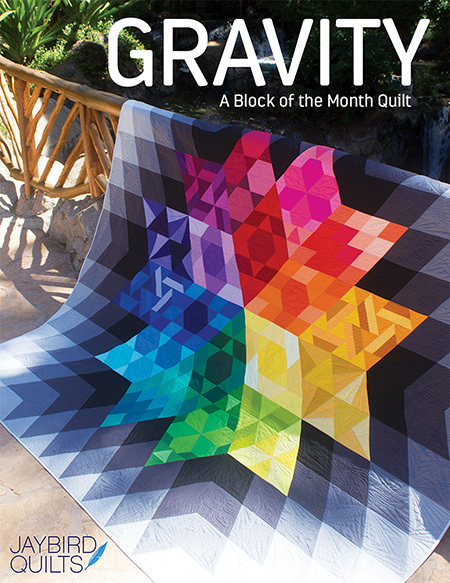 And as for quilt magazines, I'm like a kid in a candy store when they arrive! Inspiration that sets my mind whirling with new ideas and makes me giddy with the possiblities! I love all the ideas and inspirations in magazines. And the eye candy of course! How fun! I'm looking forward to all the inspiration! How fun! Congrat's on being in the first issue! :-) I love all the photo's and inspiration in magazines. Love to look at quilts in magazines. They inspire creativity. What I love about magazines is seeing all the new fabrics on the market - and occasionally finding a must-do project. Beautiful pictures and new ideas! What a great idea! I love the eye candy in magazines! I'm excited to start two birthday quilts for two of my most favorite friends. And in magazines ... the pictures! Oh, the pictures! Tacha's hexie design looks really cool!! I'm anxious to try a flying geese pattern and am psyched to see the previews of the one that's going to be in the ezine! It would be way cool to win this...what a terrific idea! I'm most interested in using traditional designs with more modern fabrics! I love the inspiration, and the ideas I get from looking at patterns, and the designer spotlights. I look forward to the interview with you and all things modern in the new magazine! i love magazines for inpsiration and fabric combinations! thanks for a chance at a free copy! I get inspiration from magazines and keep every issue - never know when something will catch my eye! I am drooling all over the sneak-peeks for this! How exciting. Great giveaway! I love quilt magazines and cannot wait to see a new publication with new and exciting ideas & inspiration! OMGOSH!!!!! I am so excited for this! Thanks for spreading the word! I like to look at color combinations in magazines and the inspiration that comes with that. First thanks for the opportunity to win...The magazines are a boost of inspiration and also for your own creativity ...one thing that you see may be a small detail but would be all you need to get your own creation going... and last but not least you learn something new everytime! I'm hoping they do a feature on Linda Franz of Inklingo. It's a great NEW method of making some intricate patterns more easily. I love looking at pictures for inspiration and also reading through the instructions. learning new tips and techniques. Articles about the designers, and what inspires them, are also read thoroughly. Quite excited to read your interview! Congrats! I love getting new quilting patterns! My congratz to all those who out a lot of work into this! I'm so excited to see this for realz! Quilting magazines have give such inspiration! It looks like it will be filled with inspirational ideas. Can't decide which one I would like to try firts! I love the inspiration that magazines give. Even if I wouldn't stitch the project, it could lead me to look at a new technique or a new color combination. Can't wait to see what they have in store for us. I can't wait to make that story quilt from comfortstiching. Gorgeous. i love best about magazines are original ideas. i can do with out the same things over and over in different magazines. Congradulations on being in it! I think i am just looking forward to seeing the new information. How cool! Can't wait to see the quilt patterns! I love magazines-they seem more current than books, which often seem outdated too soon! I love seeing traditional patterns redone and modernized in magazines. Congratulations on being included in the first issue! I love the inspiration and creative ideas magazines provide. Looking forward to seeing this one! I'm excited to see what they've put together! From all the sneak peeks I've seen, it looks fabulous! I'm looking forward to the hexagons pattern I spotted. I love quilt magazines! I go back and look through the pictures all the time... but I spend a lot more time on my computer than I do looking at paper magazines, so this is perfect! I've seen some many previews on flickr... can't wait to see what they've all come up with. I think it's so cool -- these publications and collaborations. I love magazine pictures...I look and look and look! I love magazines because you can take them everywhere! I'm a picture person too...lots of pictures makes me happy. I'm excited about this new magazine too. how exciting! can hardly wait! launching on my birthday!!! I like that you have so many choices for projects in one place! I love how they get my creativity flowing. pretty excited to see this! would love to see more of that quilt featured in the first image on the bottom row, last column. it looks amazing! & looking forward to your interview too! fun! I am excited to try a new modern pattern! Especially the bedtimestory block! I love finding new projects, particularly those that I HAVE TO DO RIGHT NOW!! I love finding projects I wouldn't have thought about doing. I am looking forward to the "fat geese" that Katy has done. I love how inspiring magazines can be - to flip through the glossy pages and just dream! I am excited for fat quarterly because the newsstands seem considerably empty these days with the economy and all. Magazines are inspirational and self indulgent after a long day at the office! Thanks for the chance to win. I'm really looking forward to Fat Quarterly! I'm so so excited about this publication! 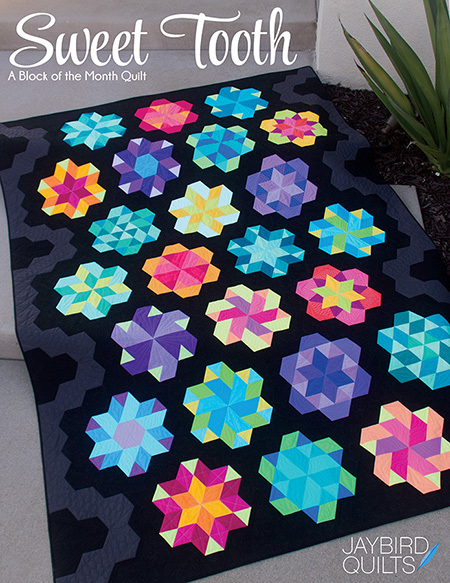 some of my very favorite quilters are putting it together, and I can't wait to try Aneela's scrappy quilt! I am a NEW quilter and I need all the ideas and helps I can get. Quilting is so addicting! Thanks and GOOD LUCK! Can't wait! Such a great group of contributors. Congratulations to you and the editors! What's not to love about magazines? They are full of inspiration and you can look at them for years! Wow; this is a neat idea whose time truly has come. Congrats for being in the premier issue! I *love* magazines; I can thumb (err, you know what I mean) through them and be inspired, entertained, or whatever, and not feel bad about passing it along when I'm done. I'm most excited to see the featured projects and tutorials!! I love to see people's outside the box ideas. I have high hopes for this one! Yes, their logo is cute. I love the magazines that show old patterns twisted into new ways or using modern fabrics. I think I finally know what I am going to make with my Aster Manor. That is what I am excited about right now. What I love best about magazines is the pictures. I seldom make a quilt from a pattern, but love looking for inspiration in others' work. I love to see how they used color, shapes, or other design elements, how they quilted it, etc. Thanks for the giveaway! Love new magazines, especially ones featuring more modern quilters. Can't wait for this one! I get inspired by new patterns and always can pick up some great new techniques from the contributors! Thanks Sharonj. Interested in this e-zine i have really been leaning toward modern quilts. Project i am most looking forward to is making that hexagon quilt for a friend having a baby. I love how magazines can get my energy back up again and make me feel not so bogged down in projects. My dose of Vitamin DIY. I love magazines for all the inspiration! I can't wait to check out Fat Quaterly. Congrats Julie, on your interview. Thanks for the giveaway! I like thumbing through the mags admiring all the projects! Love the idea of several bloggers in one place with all of that inspiration. Looking forward to seeing the magazine! About magazines? I like having a hard copy to look at when all is quiet on the home front...while sitting on the porch swing....In this ezine, I'd like to see updated fresh patterns and fabric lines...love the new colors! I really love to look at quilt magazines. I rarely make something exactly like pictured, but use them for lots of inspiration. Would love a chance to see a new magazine. cool that you're in the first issue! I can't wait to see that hexagon project. I think I'm going to start some hand work! I need more inspiration or is it I Want more inspiration. I love the Hexed In quilt!! I've fallen for the Hexagon craziness. I love getting new inspiration from magazines! What a great idea, I love when magazines put quilting designs on their patterns and I love to get new ideas and see whats out there that I haven't thought about. books and book giveaways - hurrah! Congrats on appearing in the first issue! congrats to for being interviewed! looks great and the logo is so cute! what I am most excited for?? My fave quilters/bloggers in one place with ideas, tips, lovely inspiration, everything I read their blogs all combined. I am just excited. I think it is going to be really grate. I confess I love what they're doing with hexagons - that pillow is fabulous! 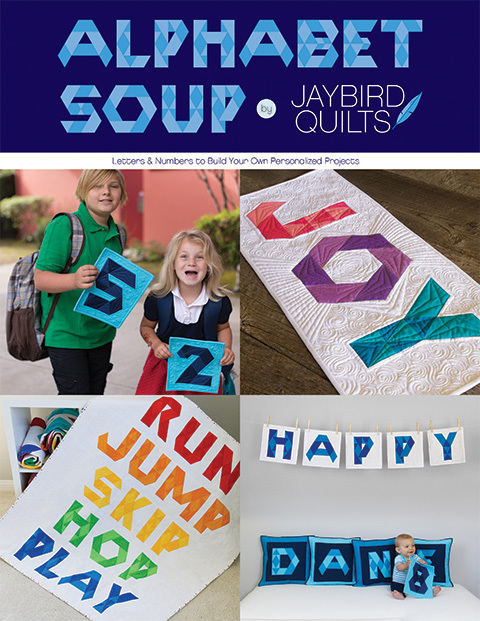 I'm so excited for a magazine for MODERN quilters! Yay! What else can I say Julie....I'm most excited to read YOUR interview!! I am excited by it all - can't wait to read it. I love quilt magazines! I'm super excited for the first issue. I've never got a e-zine before! I like looking at pictures of finished quilts! Such a great idea for a magazine. I am really looking forward to getting a copy and browsing through it. I love looking through magazines and regularly go through old ones I have. Its interesting to see if my tastes have changed. Thanks for the giveaway. I don't know if someone has already said this but I love when I'm shown a new way to do something old! I've sewn forever but I love learning new things! This old dog loves new tricks! Can't wait for this to premier! I am sure it's going to be AMAZING!! I'm so excited about the magazine and I'm looking forward to reading your interview. I always find something in a quilting magazine that inspires me to just get up and sew! AWESOME!!! I can't wait! Fresh new inspiration....Yay!!! I love the variety of projects to draw inspiration from. I love quilting magazines for inspiration on new projects. They are a great source of new patterns, techniques, tips, etc. I love to look at the new fabric. Great eye candy!!! 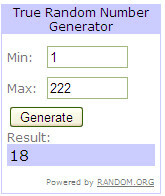 Thanks for hosting a great giveaway. Love & blessings from NC! I love quilting magazines-- so much inspiration. Very exciting!! I can't wait for the first issue! What I like best about zines is that you can look at them over and over again; plus, find a project you remember from years ago. I'm excited to see what you guys have done. What I love about magazines is the juicy goodness all in one place. And you can look at them over and over again and find something that catches your eye every time. I love that Fat Geese Pattern!!! I love the patterns and seeing the different color combinations designers use in their quilts! I love the color options AND the patterns AND the ads for shops! Sounds like all kinds of fun! Be there or be square! I want to see all the projects. I love the inspiration. I would love to be the first one to get this magazine. I love magazines. I have quite the collection of them and have a hard time throwing any of them out. I'm most excited to learn new things and to get a pattern for a new quilt...hopefully not one that's too hard, b/c I'm a beginner. My fave thing about mags is to learn something brand new. I love magazines for the eye candy and they always have good articles. I love to see new techniques described and often get inspired by them. Also the pictures always grab my attention. I've been hearing so much about this e-zine! I'd love to have a copy! Looks like it's gonna be a cool ezine. Yes please! I have been waiting and waiting for this after both Katy and Aneela mentioned it - I can't wait, I'll be buying for sure, but it would be even better to win! Thanks for the chance to win...I'm very interested to see this first issue. It is really exciting that you are in it as well!! How cool is that? I love magazines for two reasons. One being I love to read what other people write. How the project came about or just their story. The second reason is for the photos. I always find quilts with fabrics I never would have put together but love it! So much inspiration! I love the work of some of these contributors - looking forward to lots of inspirational ideas in Fat Quarterly! 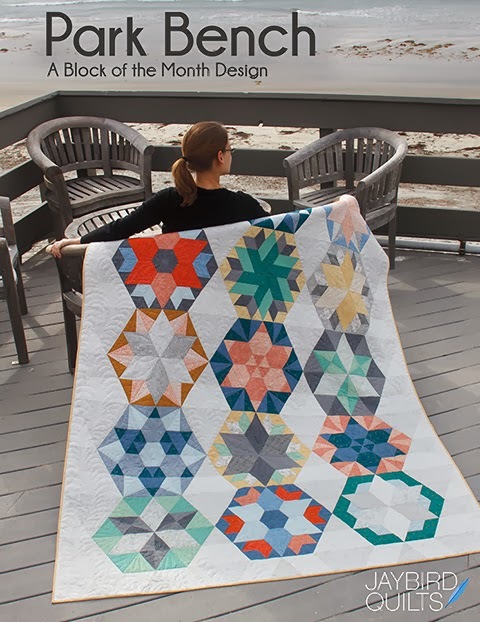 I love modern quilts and I'm very excited about the Hexagon Quilt Along. (Can't wait for the next step!) Thanks for the giveaway! Hi Sweety, I love magazines...or e zines, for the inspirations!!! Very exciting! I'm looking forward to seeing quilts made with the modern fabs and the quilt patterns that give the quilts a contemporary look. I'm looking forward to the bedtime story project. I have some of the princess and pea fabric that I'm afraid to use, and this might be perfect for that and something I can give to my niece. I love the collaborative nature of the Fat Quarterly! This is SOOO exciting!! I can't wait to see it! I love the pretty, pretty photos in magazines. And that they're so portable - a great way to spend my commute! Congratulations on what I'm sure is a fantastic interview! Now I have one more reason to be excited for that first issue! Oooh how exciting, the preview pics look fantastic, I love that flying geese variation quilt! nothing is better than new magazine or for that matter a e mag! dreams in motion! I like it all...love the ideas, love the advertising (more stuff to find and places to find it at! ), products used, and sneak peaks of the future so I have something fun to look forward to! The photos in magazines get me thinking about wishing about my next projects! I love learning new techniques and being inspired by wonderful artists! I'm so excited to see the first issue. I love magazines for all the projects I dream of making and the excuse for fabric shopping they give me! 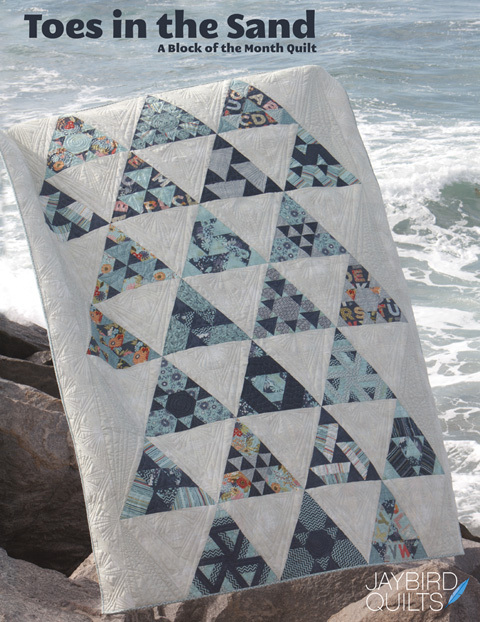 Those little photos of flying geese block quilts have caught my interest. Curious to see more of those quilts. . . Pick me! Pick me! Haha! Congrats on being interviewed in the first issue :) Can't wait to read it! I've been scouting out sewing blogs while I've been gathering pennies to get my sewing machine (Soon! Soon!). I'm looking forward the first issue and I'm excited that we will be starting out together! Sounds exciting. I'll have to check it out. I absolutely adore the work of these bloggers, and I am so excited about this e-zine. The Jewel Box quilt is really calling to me! I love all the projects and patterns! Magazines jump start my desire to do something -- expecially when the ideas have a fresh twist on them. Plus, I enjoy the blogs of most of the list of publishers! Would enjoy seeing the new concept with one free edition that has a jaybird interview. Love magazines, love the photos and inspiration from seeing new patterns, fabrics, and designers. I love quilting magazines. I can't wait to see this one. browsing is so much fun. Can one ever be exposed to too much quilt stuff???? I think NOT!!! I love reading anything (and everything!) I can find on quilting! I'm new to the quilting world and can't ever have too much information! This magazine looks like it will be so fascinating and definitely worth reading! Very exciting! I love finding inspiration in magazines, whether it be color combinations, the pattern, or the quilting design. I'm excited to see John's project. Saw the teaser pic on his blog and love that fabric line! I love having loads of ideas/projects in one place and this looks like it will have lots of modern creative contributors, can't wait! I'm so excited about this! Tacha in in a bee that I'm in so I've been seeing sneak peaks of her hex project on flickr! So the project I'm most excited about is her hex cushion. It's just so pretty. I love looking at all the pretty pictures in magazines. I'm really looking forward to the patterns in FQ! I really like the pillow that is featured dead center in the cover picture. I saw it in the flickr pool and it's incredible. I don't think I'd even want to attempt making something that won't turn out as perfectly - it should be for sale on etsy so I can pounce! This new ezine sounds fantastic - can't wait to see it! Please enter me in your giveawy - thanks! I love looking through magazines for inspiration and ideas. Can't wait.....keeping fingers crossed I win!!! Love magazine ideas & hints! Can't wait to see their 1st Issue! My favorite thing about quilting magazines is looking at everything other people made, and figuring out how I can make it my own! I am so excited for Fat Quarterly! I am in love with the freshness of this magazine. The pics I viewed on the blog were so cute! I can't wait to view the premeir issue!!! !